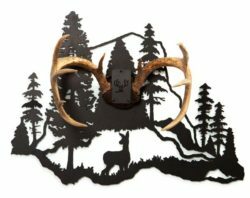 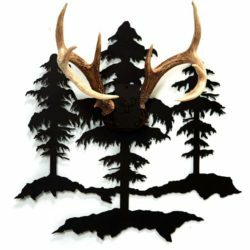 The Mountain & Doe antler mount kit by is adaptable to both skull cap and antler sheds. 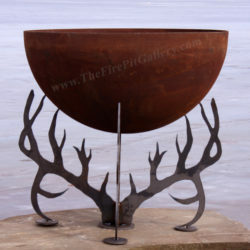 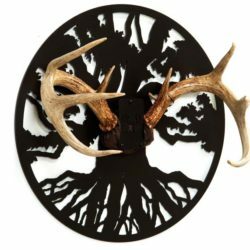 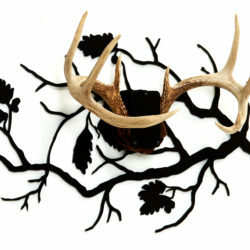 Laser cut ⅛” steel features a textured dark bronze powder coat finish. 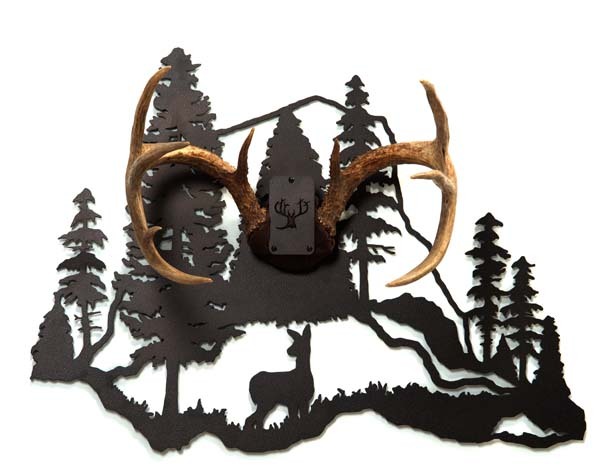 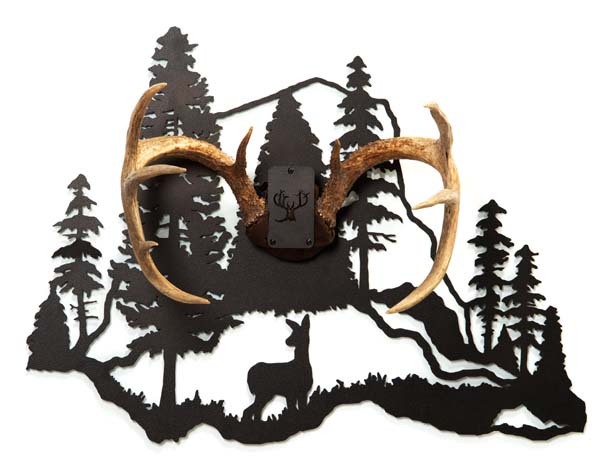 Depiction of a natural habitat enhances the display of antler set.